After a summer of sweaty days, patio season is aaaaaalmost upon us! Truth be told this post has been in the works since May, but then it got too hot in Oklahoma to enjoy being outside. Now, fall is right around the corner and I'm ready to soak it up! One of my favorite weekend activities is sitting on a patio and sipping a good beverage with my favorite people (and sometimes a pup or two)...that and having brunch or dinner on a patio! 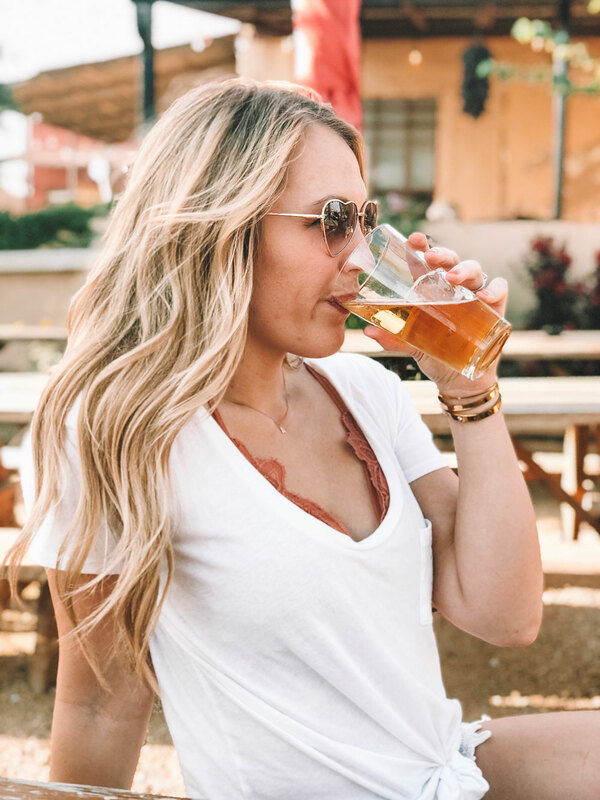 This post seems like it's almost a carbon copy of other Best of OKC posts I've done..... best cocktails, best places to take your dog, best brunch spots.....but just let that be some assurance that I really do love the places I recommend. I love them enough to mention them time and time again! Without further ado, though, let's get to the best patios in Oklahoma City! This is one of the most unique, tucked away spots and is a favorite of mine! It is located in the farmer's market area and almost feels like a little slice of Santa Fe in OKC. They have a great beer list and some really good craft cocktails. I've never had their food, but I know they have some Spanish style bites. It is usually pretty quiet, which I appreciate. Probably the absolute prettiest patio in the whole city. It was made for Instagram! From the succulents to the pretty tiles to the fireplace, everything about this patio is aesthetically pleasing. The food and drinks are pretty pleasing, too! C and I LOVE to ride our bikes to Sauced on Paseo. It is also a great place to bring the pups! It isn't overly nice or upscale by any means, but it's a great spot to kick back and enjoy a few cold ones. They serve some tasty pizza, too! Hall's is my favorite pizza in town (maybe in the world) and they have a darling rooftop with a gorgeous view of downtown. They host weddings and events up there regularly, so that alone should tell you how pretty it is! And the cherry on top? A jar of Hot Tamales in lieu of peppermints. Another great "kick your feet up and sip a few" spot. Pump is always happenin' and there are always dogs to say hi to! They have a good beer list and a lot of unique (and classic) cocktails, plus some cheesy, greasy, yummy snacks! Guyute's rooftop is so underrated in my opinion! It is usually pretty quiet up there so you can take your time and enjoy being outside. I love to eat brunch here and/or pig out on Tequila Sunfryz! Their cocktails are superb (try the Fire on the Pineapple, you can thank me later). A lot Fassler's patio is covered so we go there when it is cold or rainy - because of that it always makes me think of crisp air and cozy sweaters. Sometimes they have the glass garage doors open to the inside so it has a real open vibe throughout the whole restaurant and bar. They have a ton of beers, a great mimosa brunch special and delicious schnitzel sandwiches! Packard's rooftop is too pretty for words! They only serve wine and beer up there, though, just fyi, but they have a ton of [bright turquoise couch] seating and it has never been overly crowded when I've been. It is the perfect spot for a quiet girls day so you can chat (and get a little sun) without yelling over other people or music. This is one of my best kept secrets, so don't go telling the whole world about it, BUT, I LOVE Pizzeria Gusto's patio. There is a legit secret garden back behind their building. The small, fenced in courtyard is absolutely darling, covered in ivy and patio lights, and it has a huuuuge fireplace. I could sit back there for hours, especially when there are delicious cocktails and pizza! Anyone who's anyone has been to Bleu Garten, Oklahoma City's big food truck park. It is the happening place when the weather is nice! Great drinks, lots of yard games, plenty of food options, fun events, big TVs for sports.....there is lots of fun to be had! That Yard is like a smaller and less crowded version of Bleu Garten and is made completely out from shipping containers! They call it an "urban beer garden." They have a really good beer band deal where you get ten beers for $10. I don't love their cocktails, but I do love the string lights. They often have food trucks on sight, too. C and I visited Nashbird (formerly Hillbilly Po Boys) for the first time a few weeks ago and really liked it! Their patio is small but it is nestled under the trees in front of the cutest bungalow businesses on 9th Street. It is just one of those patios that makes you feel like you're in a friend's front yard. 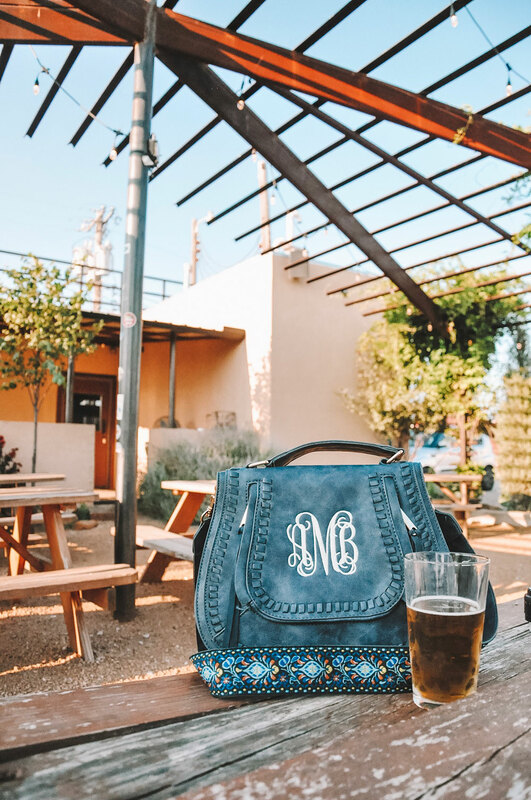 There are so many other patios in OKC that I love (Louie's, Jone's Assembly, The Wedge, R & J Supper Club, Sidecar and Republic to name a few) but the 12 above are the places I frequent most often, whether it be for a drink or a full meal! 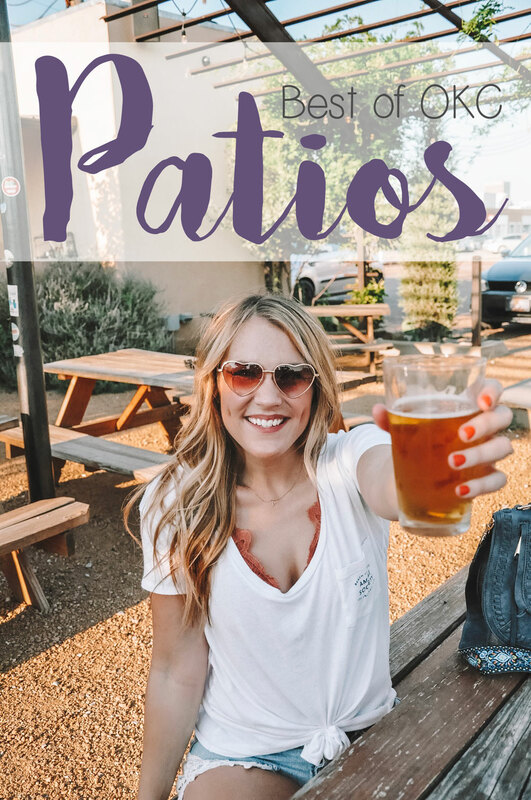 If you're from OKC, are there any patios you love that didn't make the list? If so, let me know in the comments! I'd love to give them a go. I've heard great things about Picasso's patio and want to try it next. I'm thinking next month my OKC post will be "Best of OKC State Fair Foods" so stay tuned for that! 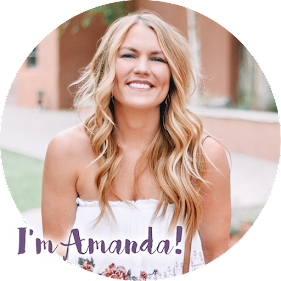 In other Okie news, I was recently published on The Commoner Magazine sharing how to spend an "OK Day" in OKC! You can check it out here.